Belize 15ft Round Pool, Liner and Skimmer. Build your own pool with what you want or need and save. 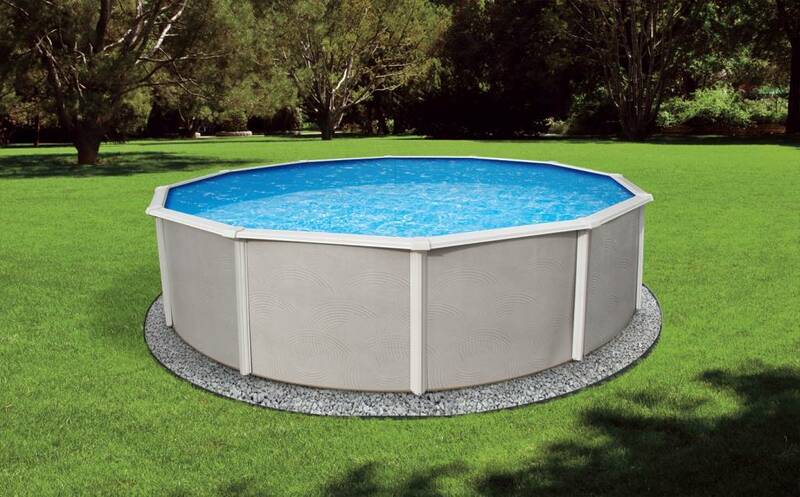 The Belize offers you a high quality steel wall pool at a very economical price! The Belize will give you and your family many years of fun in the sun. 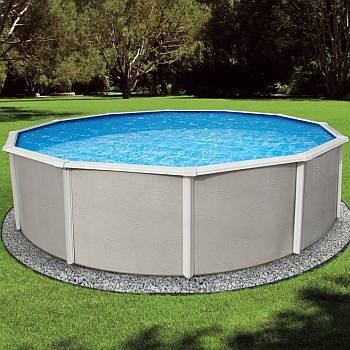 Manufactured by a leading above ground pool company, Belize combines excellent quality with a very affordable price. Its rugged construction and durable 6 inch top rails and uprights provide the heavy duty structure for many years of family fun. Deluxe resin seat covers give Belize a sleek modern look. All steel parts of the Belize are protected by the Star Galfin process. A proprietary combination of zinc and aluminum coats all steel parts to give them superior corrosion resistance when compared to other similarly priced pools. Belize will not chip, fade, rust or peel and is designed to look as good ten years from now as it does today. The Belize is so easy to install that it is set up for the do-it-yourselves. A comprehensive installation manual is included with each pool. Invest in a high quality Belize pool this summer at this great price. Hurry. Supplies are limited! The Belize is backed by a 15 YEAR LIMITED WARRANTY. Available in 48 inch and 52 inch depths and a variety of rounds and ovals to fit your backyard. Please click here for an Installation Manual. 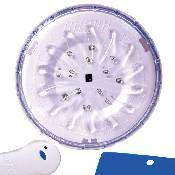 The Belize pool kits also feature a FREE light with remote control. It is the most versatile and easy-to-use LED pool wall light available. 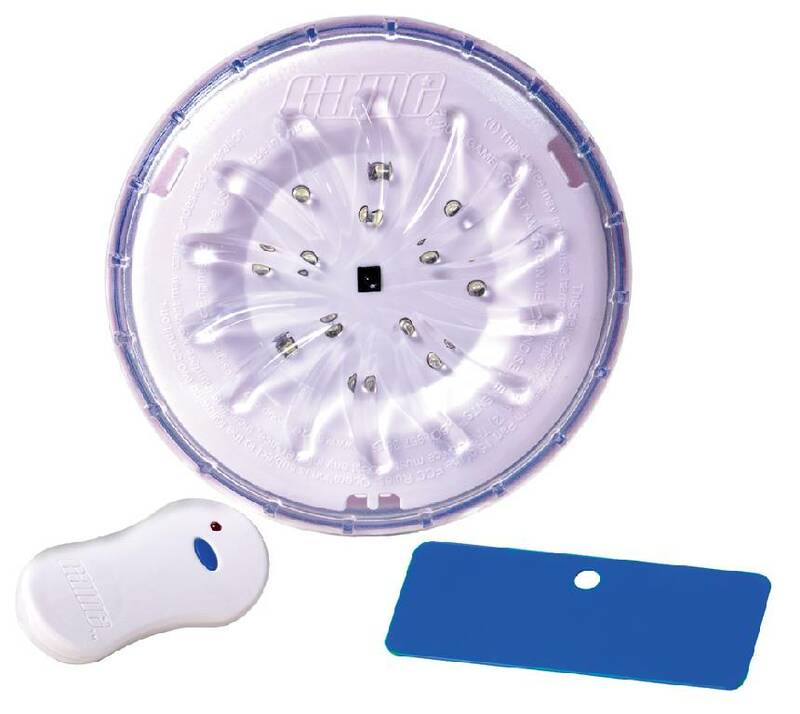 It features 2 settings, bright (13 LEDs) or dim (5 LEDs) this multipurpose white light attaches to interior or exterior of frame and steel wall above-ground pools as well as umbrellas, tents, sheds, etc.